You’ve picked Guatemala for your next holiday. Your flight is booked. Your hotels are reserved. Now you just have to figure out what to do. Fortunately, Guatemala offers all sorts of ways to experience its top destinations. Below we’ve compiled a mix of traditional tours and more off-beat experiences around Antigua, Lake Atitlán, the highlands, and the northern department of El Petén. There’s so much to do, your new challenge will likely be how to fit it all in. Get a behind-the-scenes look at the colonial-era ruins of Antigua on a half-day tour of the city’s most stunning and significant landmarks. Visit churches and monasteries, the city’s central park, and a handful of other sites as you learn about the historic, cultural, and social highlights that make Antigua unique. Guatemala is home to more than 30 volcanoes, a handful of which often spew ash, smoke, and lava. One of the most popular for climbing is Pacaya, about 90 minutes from Antigua. A guided hike takes you along its foothills, through pine forests, and to an area of lava rock and ash where hot steam escapes through crevices in the ground. On a clear day, you can see nearby volcanoes and the Pacific lowlands. Add a picnic lunch as a reward. 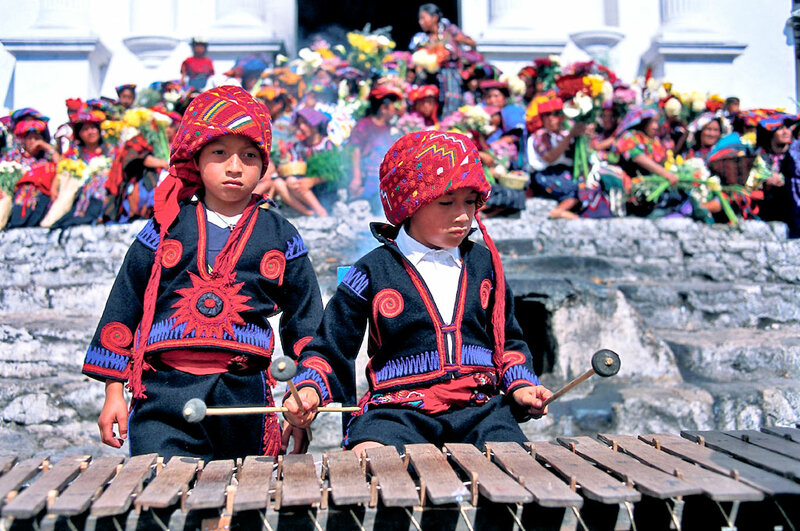 Learn about Guatemalan history and culture by visiting some of Antigua’s surrounding villages. Head to the mountain town of Santa María de Jesús (where many women wear traditional Maya dress), before seeing local village living and the historic sights of San Pedro and Ciudad Vieja. 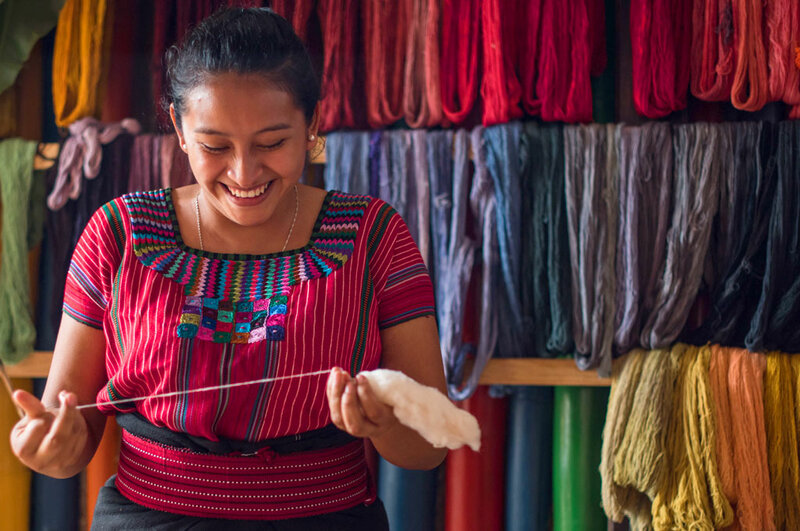 In the town of San Antonio, you’ll explore a women’s cooperative where iconic Guatemalan textiles are made. Along the way, enjoy a snack at a local macadamia nut farm. 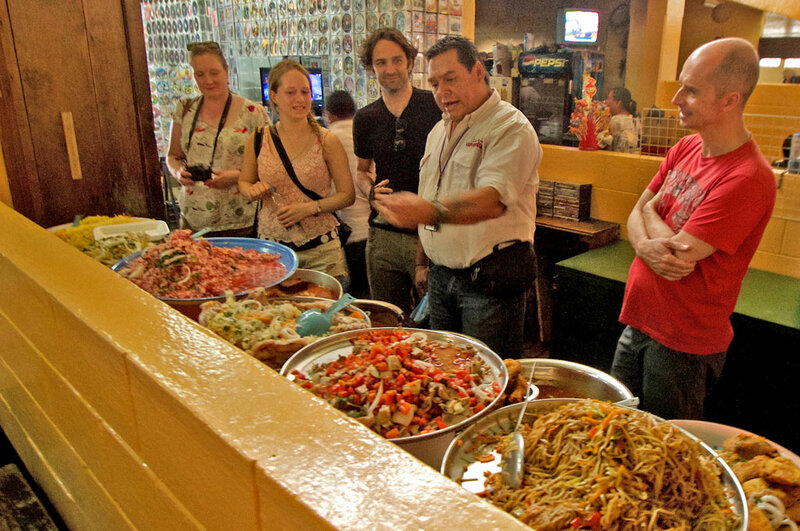 Taste Guatemala’s most traditional fare as you explore Antigua’s street food hot spots. Visit places where long lines of locals are a fixture—and for good reason: The food served is delicious and well-prepared. Items you might sample include chuchitos (the Guatemalan take on a tamale), pupusas (cheese-filled corn tortillas), and rellenitos (plantain cakes filled with sweet beans). You’ll learn about the cultural and historic significance of the eats on offer and (if open) visit Antigua’s busy market. Niños de Guatemala (NDG) is a Guatemalan/Dutch non-profit organization that strives to defeat poverty and support sustainable development. An NDG-sponsored tour takes you to the town of San Miguel Escobar (just outside of Antigua), where you’ll visit NDG’s vocational school for kids, learn about Guatemala’s education system, and stop by some of the businesses that work with NDG. Destinations include a carpentry shop that makes coffins and a chicken bus workshop where North American school buses are transformed into colorful powerhouses that shuttle locals from one town to the next. Cacao has been used by the Maya for ages, and this workshop teaches you about its history, how it’s grown, and what has led to its mass production today. You’ll also get an overview of the chocolate-making process and have a chance to turn cacao beans into everything from cacao tea to Maya hot chocolate to traditional chocolate bars (the latter of which can be customized with add-ins like almonds, coffee beans, ginger, and sea salt). Everything made is tasted along the way, and you leave with chocolate in hand. Board a boat for the village of San Juan La Laguna, where you’ll visit a women’s cooperative to see how traditional backstrap looms and all-natural dyes are used to make some of Guatemala’s prettiest textiles. Visit the workshop of a local naïf painter, too. Afterward, head to the Tz’utujil Maya town of Santiago Atitlán. Here, you’ll explore Santiago’s church and market while learning about the town’s history, textiles, and folk art and track down Maximón, a celebrated Maya folk saint that’s housed by a member of the local religious brotherhood. Shamans often perform rituals wherever Maximón resides. Located just outside of Panajachel on Lake Atitlán, the Reserva Natural Atitlán offers forest-lined nature trails that meander pass a 23-meter (75-foot) waterfall and over a handful of suspension bridges (look out for coatis and exotic birds). If you like, experience the thrill of flying through a forest canopy via the reserve’s series of zip line routes. You can also visit the park’s enclosed butterfly preserve, where approximately 200 specimens (and nearly 20 species of native Guatemalan butterflies) live. 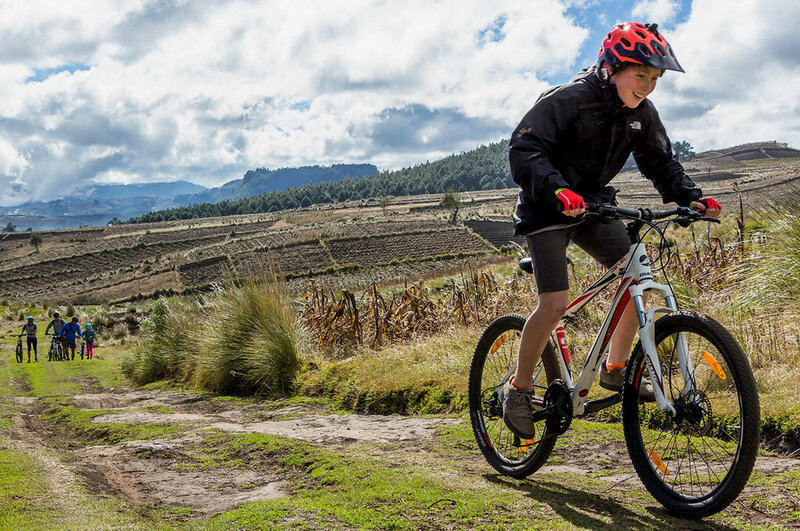 Explore Lake Atitlán’s ruggedly picturesque perimeter by foot or by bike. Along the way, you’ll pass agricultural fields, visit local shops, enjoy spectacular lake and volcano views, and get a taste of local life. The lake’s waterfront towns boast different personalities, all interesting in their own respect. The town of San Jorge La Laguna offers spectacular Lake Atitlán views and is rich with indigenous culture. Learn about the latter with the help of a local guide by exploring the town’s small streets and colonial church, visiting the “pila” where women gather to wash clothes, and by getting a good look at the traditional dress. You’ll also take a short hike to a series of caves used for sacred Maya ceremonies and enjoy a traditional lunch in the home of a local family (help make Guatemala’s ubiquitous corn tortillas, if you like). Spend five days really getting to know the Atitlán area by making a complete circuit of the lake by bike, kayak, and on foot. Stay in comfortable hotels along the way as you visit indigenous Maya towns and markets, see how traditional Guatemalan textiles are made, and learn about local Maya gods. 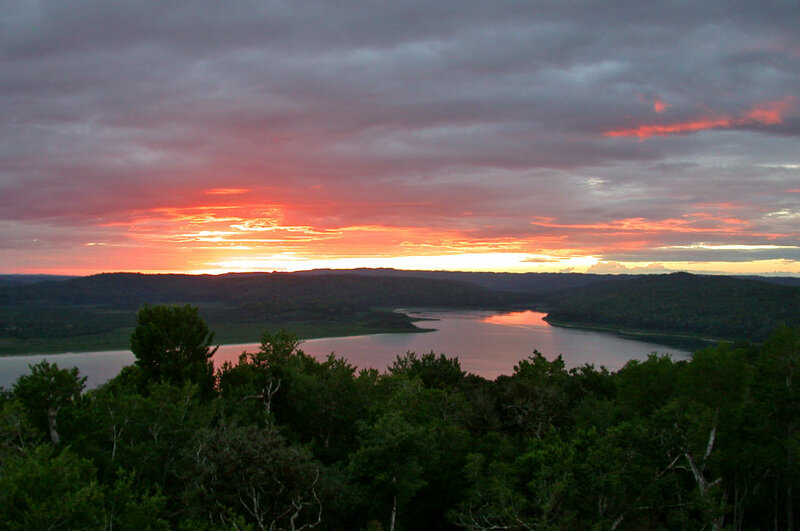 Get a crash course on the environment and wildlife around the lake while enjoying one spectacular view after another. 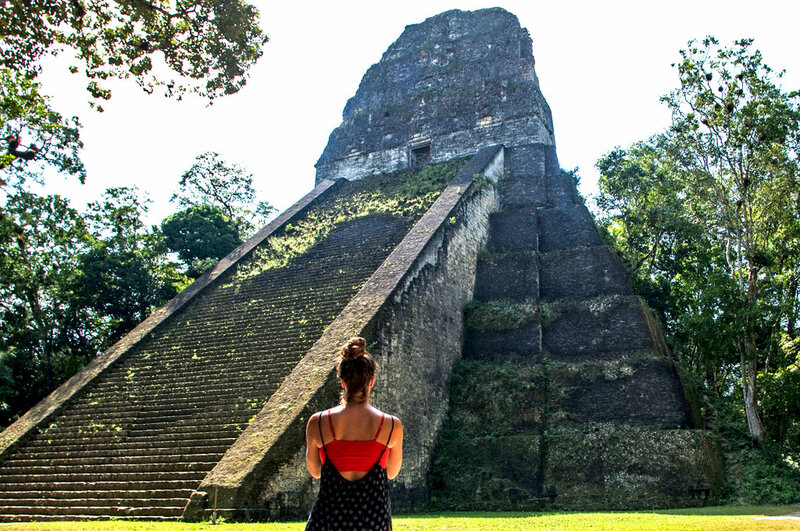 Take a privately guided tour of Tikal National Park, one of the ancient Maya’s largest and most fascinating urban centers. A UNESCO World Heritage Site since 1979, Tikal was occupied from approximately 900 B.C. to 900 A.D. and reached its heyday c. 700 A.D. with some 50,000 inhabitants. Today, it comprises more than 3,000 well-preserved temples, palaces, ceremonial platforms, and shrines surrounded by jungle; look for tropical birds and monkeys. As you explore the ruins, you’ll follow in the footsteps of the ancient Maya and visit famous spots like the Temple of the Grand Jaguar. A sunrise visit is a real treat. Set out into the jungle for a visit to the remote village and ancient Maya ruins of Uaxactún. Renowned for its ancient elaborate astronomical observatory, the archaeological site comprises several partially restored temples arranged to coincide with sunrise on key dates. Tour the site and also explore the village, while learning about the allspice, xate (used in floral arrangements), and chicle (natural gum) that locals collect from the jungle. Enjoy a traditional lunch prepared with local ingredients. For a truly unforgettable experience, plan on camping (comfortably) in the area. One of Guatemala’s little-visited but more picturesque archaeological areas, the Yaxhá ruins comprise several superbly restored structures surrounded by lush jungle that sit atop a hill overlooking two scenic lakes. Temple 216 in the East Acropolis towers above the site and provides magnificent views of the area. Climb to its top at dusk for drinks and snacks and to watch the sunset over the surrounding landscape. Yaxhá is also a great spot for birding tours. Located on the shores of Lake Petén Itzá, ARCAS is a non-profit organization that rescues animals captured by people and then rehabilitates and returns them to the wild. One of the largest animal rescue centers in the world, it receives between 300 and 600 animals each year. While at ARCAS, learn about the organization’s work, animal trafficking, and the animals it helps while also exploring the center’s interpretive trails and checking out the animals that live on-premise permanently. Hidden by thick jungle, El Mirador archaeological site is located in the remotest reaches of northern Guatemala. Far more expansive than its more famous neighbor, Tikal, it features the largest-known ruins of the ancient Maya world. There are no roads to get to El Mirador, so access is an adventure à la Indiana Jones. Intrepid travelers reach the site via a five-day, round-trip jungle trek with hiking and camping along the way. A tour of the site explores its elaborate history. Travelers can also take a helicopter to/from the ruins or hike in and fly out. Located in Guatemala’s central highland region, the town of Chichicastenango hosts one of the country’s largest indigenous markets. Here, hundreds of market vendors hawk everything from wood-carved masks and ceramic pottery to fruits, vegetables, and flowers. In Chichi, you can get a close-up look at K’iche’ Maya culture by visiting Santo Tomás, a church where locals practice a blend of Maya and Catholic religions, and the hilltop shrine of Pascual Abaj, where shamans can sometimes be seen performing traditional ceremonies. Explore a handful of small towns just outside of Quetzaltenango, Guatemala’s second-largest city. The town of Almolonga has been dubbed “the garden of Central America” and is renowned for the gorgeous vegetables it produces. In Zunil, you can hunt down the Maya folk saint, Maximón, represented by an effigy that’s housed by a member of the local religious brotherhood. Fuentes Georginas is a scenic spot with a series of thermal pools perfect for relaxing. Visit the town of San Francisco El Alto on a Friday morning to check out its famous livestock market. Located in the Cuchumatanes mountains, in the department of Quiché, the Ixil Triangle is an isolated but stunning part of Guatemala that comprises the towns of Nebaj, San Juan Cotzal, and Chajul, plus a handful of outlying hamlets. A region that once felt the full force of the Guatemalan civil war, the Ixil Triangle is a quiet destination today where locals still adhere to traditional ways of life. Visit local churches, plazas, and markets and get a close-up look at local life. (Be sure to listen for Ixil, the region’s Mayan dialect.) Be prepared for scenic views and a backdrop of towering mountains. Some moderate hiking may be included. 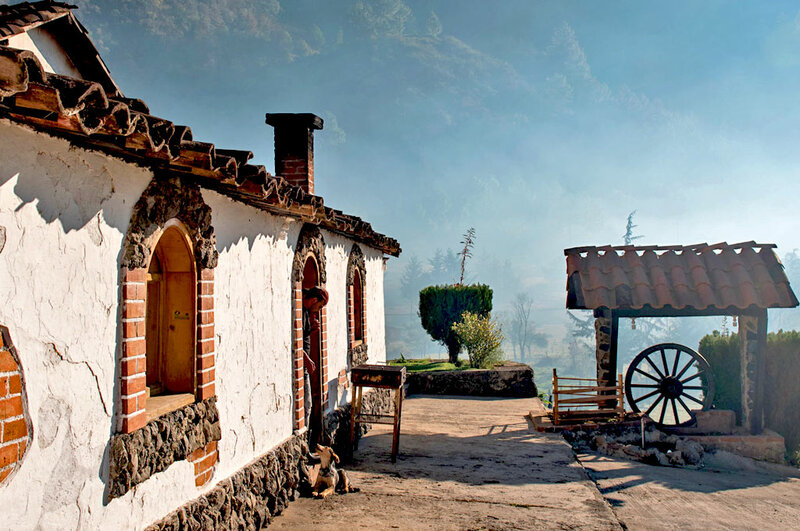 Drive deep into the Cuchumatanes mountains of Huehuetenango, and you’ll reach Todos Santos, an isolated Mam Mayan town that has maintained many of its traditional customs. Ropa típica (typical clothing) is the norm, with men donning the most striking outfits (think red-and-white striped pants, striped shirts with embroidered collars, and straw hats). On Saturdays, there’s a lively market with produce and regional handicrafts. In addition to its reputation for conservative customs, Todos Santos is well known for the festivities it hosts on All Saints Day on November 1—the highlight being its famous horse race. The town of Totonicapán is located deep in the beautiful Maya highlands and is known for the variety of handicrafts it produces. Explore the area with a local guide, and you might visit Don Miguel Hernández, who uses giant wood looms to make lovely, colorful textiles, or a ceramics workshop where clay plates are handcrafted on pottery wheels. Lunch takes place in a local house and is accompanied by a marimba and folkloric dance performance. In the evening, spend the night in the home of a family for a first-hand look at local living.